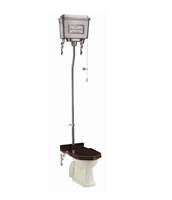 The Burlington High Level Pan with High Level Cistern and High Level Angled Flush Pipe Kit has a traditional appearance, lovingly crafted and hand finished with exceptional care using the finest materials and manufacturing processes. 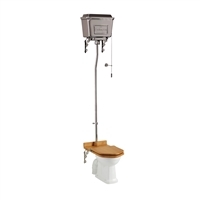 The Burlington High Level Pan with Single Flush High Level Cistern and High Level Flush Pipe Kit has a traditional appearance, lovingly crafted and hand finished with exceptional care using the finest materials and manufacturing processes. 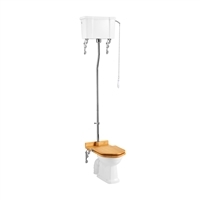 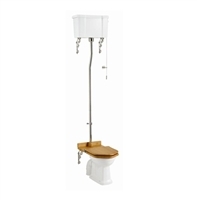 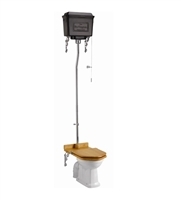 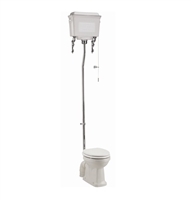 The Burlington High Level Toilet with Dual Flush Ceramic Cistern and Chrome Flush Pipe Kit has a traditional appearance, lovingly crafted and hand finished with exceptional care using the finest materials and manufacturing processes.